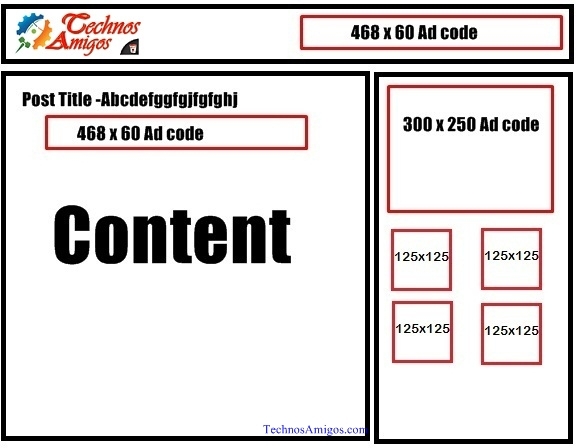 At TechnosAmigos.com we believe in a direct advertisement as its perfectly suitable for both us and advertisers. Along with listing at AdSella, BuySellAds and other services, you can also advertise directly on our blog/network sites. By doing this you will not only save BuySellAds or AdSella fees but get a better discount on 60 days/90 days or more advertising period. So, basically a win-win situation for both. We are generating more than 450,000 to 500,000 unique visitors since March 2018 and this December 2016, we continued this average. So this means we have around half a million Page views per month on TechnosAmigos.com alone. We publish 7-10 articles per day, covering the latest mobile phone launches, gadget news and other tips. Visibility – All ads codes are visible on the homepage, blog pages, blog posts for all users worldwide. 75 % of our total traffic comes from Search Engines with Google giving us 70% of it. We run on Google AdSense, VigLink for monetization. This should give you a clear idea that we are not just meant for ad network but we also have a preference towards advertisers like you. * All payments should be made via PayPal or Bank Transfer (if applicable). * All Payments will be upfront. Discount for Bulk or longer period advertising. * Google Analytics reports sharing is available upon request by email to yogeshpatel37(at)gmail.com.